We’ve added some suggested token names below. Use whichever exposed tokens you wish. Copy the HTML generated in the box on the right hand side. 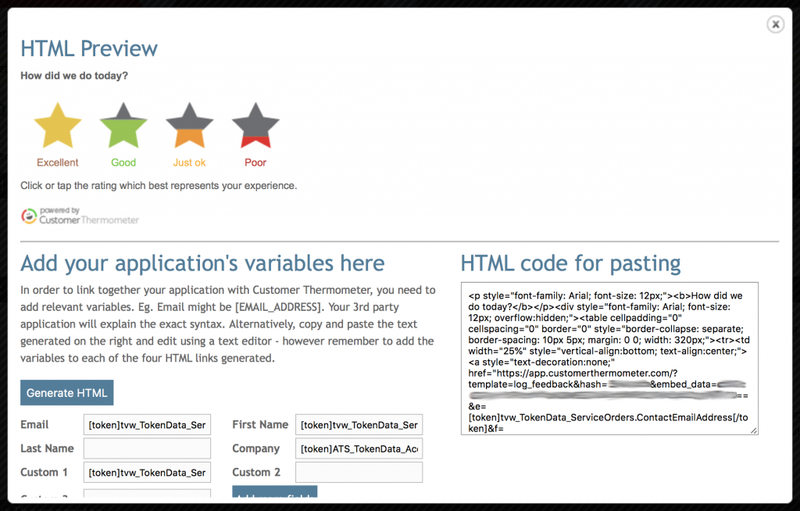 Paste the HTML snippet into the appropriate email template within Tigerpaw. Test it all works and you’re ready to start tracking real time customer feedback from Tigerpaw tickets and service orders inside your Customer Thermometer reporting area.